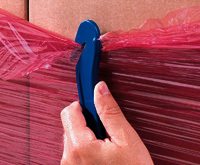 Extra-long, 20" wide ribbons of high cling film are spooled for high volume machine applications and quick wrapping of uniform or uneven loads. 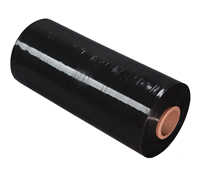 High grade film resists tears and punctures. Quiet release.